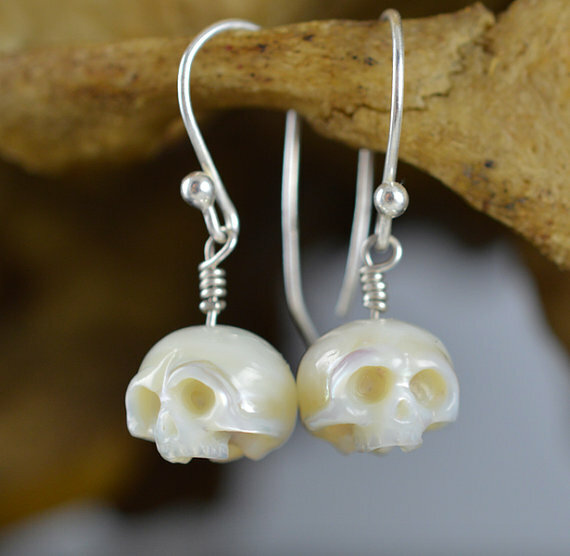 Arlo Edge Walker carves beautiful skulls into real pearls for jewelry (they seem a great medium, don’t they?). 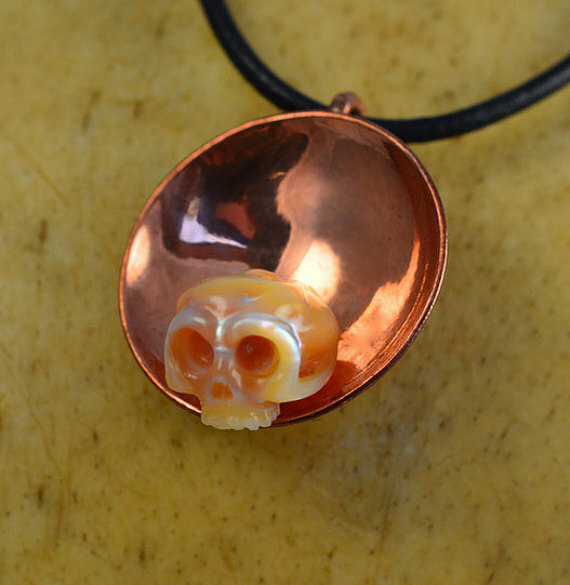 Each piece is hand crafted, and one of a kind. It takes Arlo around 3 hours to delicately carve these skulls, but it’s clearly time well spent. I love the subtlety of the design. 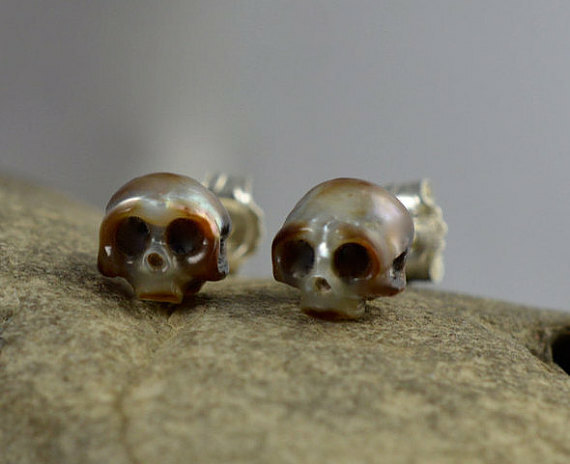 One must look closely for the skulls to materialize. 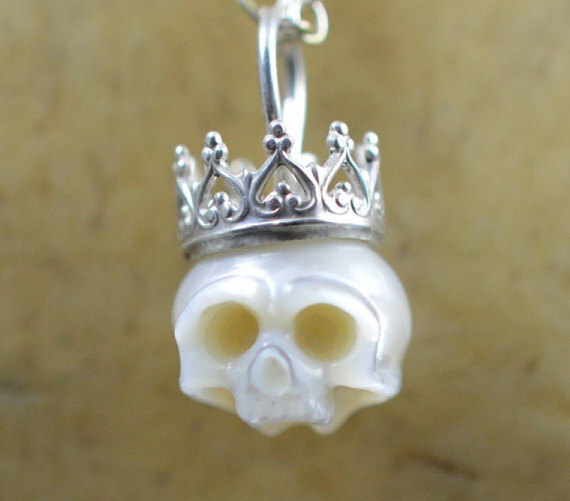 This entry was posted on September 17, 2015 at 3:21 pm and is filed under craft, jewelry, skulls and skeletons with tags craft, jewelry, skulls and skeletons. You can follow any responses to this entry through the RSS 2.0 feed. You can leave a response, or trackback from your own site. Thank you kindly for the shout out on your site. They seem oddly cute. Those big, eyeless sockets seldom look this pretty! Yes, they’re quite delicate and sweet! I second Comment1, they’re adorable!